Distribution: Southern Europe, middle East & Eastern Africa as far south as the northern parts of South Africa. Description: Light to medium brown with streaks of black and darker brown running through it. 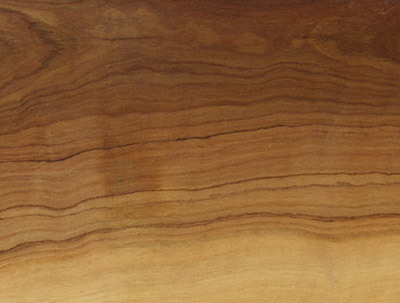 Of the various Olivewood subspecies, the African tends to have the more vibrant veining. 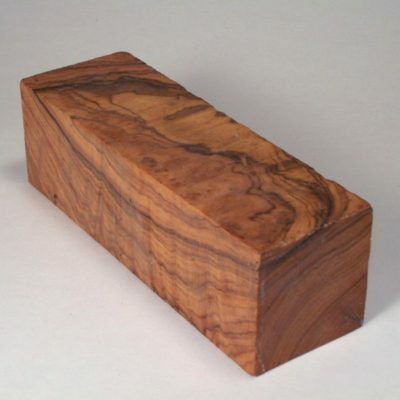 Has a fine texture with a shallow interlocked grain giving it a marble appearance (55lbs/ft3). Working Properties: Moderate blunting effect on tools with interlocking grain. Glues well and it is recommended to pre-bore before nailing or screwing. Polishes up well and gives a smooth even finish.